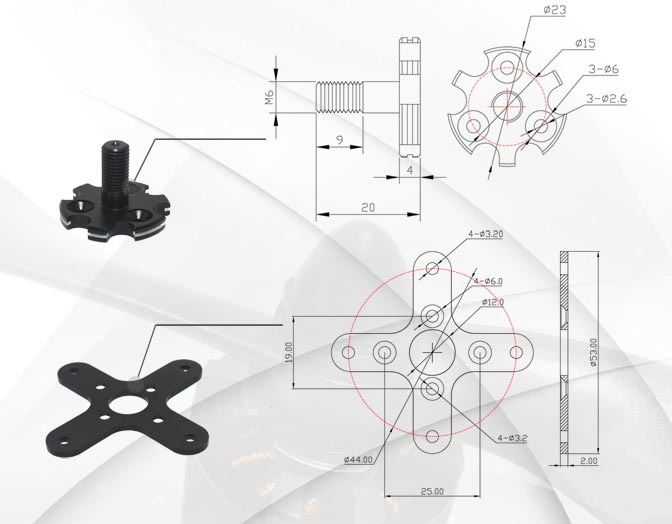 This brushless motor is one of the especially designed for multicopters range by EMAX. This one have a max thrust of 840 g. Clockwise. 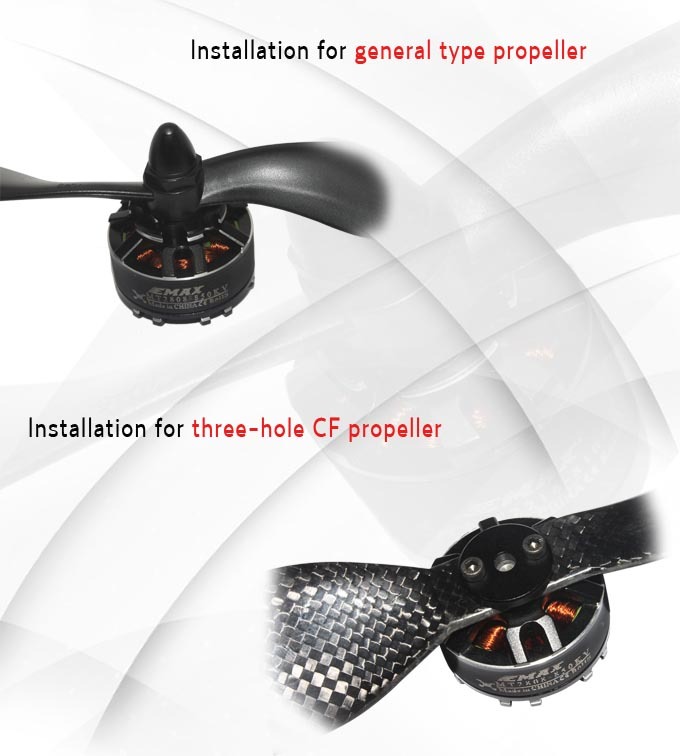 Hélice / Propeller : 10-11""